"Thank you, your Highness, for that report on the state of Meridell's potato crops. However, we called this conference to discuss the strange occurrences that have been happening around Neopia, not agriculture. If you'll please sit down?" Skarl visibly reddened, and sat down. "My apologies, your Majesty," he grunted. Hagan, who sat to the left of him, snickered for a moment before getting a swift punch in the arm, at which point he stopped hastily. "Now then," Fyora said brightly from her seat at the head of the polished table at which the leaders and ambassadors of the world sat. "I would like to open the floor to any country that has been the victim of one of these peculiar events. Please describe what you know of this event carefully and with as much detail as possible. Remember, the goal of this meeting is to determine what, if anything, we can do to investigate." A yellow paw shot up from the Tyrannia delegation. Its owner, a female Kyrii with extremely long tusks and a striped mane running down her back, stood up. The furious expression she wore had not left her face for nearly a week, when she had been informed that the monster, her monster, had escaped its prison. "Ah, yes, Grand Elder Kyruggi. I daresay your story is the most alarming of them all. By all means, begin," Fyora invited her with a motion of her well-manicured hand. "Hold on a second," a voice piped up from the Lost Desert envoy. Princess Amira leaned forward, curiosity piqued. "If you're from Tyrannia, how come you don't speak in grunts?" Kyruggi's expression soured further. "That is a stereotype, and an ugly one at that. Tyrannians are just as well-spoken, and in some cases even more so than many... other cultures," she said with a cold stare at Amira. The Aisha princess glowered at the Grand Elder, and leaned back silently. "As I was saying, three days ago I was awakened in the middle of the night by a frantic Ruki who had been on duty that night, guarding one of Tyrannia's most prized and fearsome possessions." "And that is?" King Kelpbeard asked with interest. Kyruggi hesitated. She knew she would have to share this information eventually, but that fact didn’t make it any easier. "There is a legend that Tyrannians tell their children about an enormous monster that lives in the bowels of our village. Most pass it off as just that: a legend. However... it is true. The Elders of Tyrannia are—were—in control of a Scorchio that is at least a hundredfold a normal Scorchio's size, with immense strength and a terrible penchant for firebreathing. Its origins are unknown; it has been one of the Elder Council's responsibilities since before I was born." "You mean to tell us," Kelpbeard said after a moment of shocked silence, "that you... imbeciles in Tyrannia have been harboring a beast under our very noses?!" An uproar echoed his sentiments. Kyruggi attempted to speak over the jeers, but the angry voices weren't silenced until Fyora spoke up. "Enough!" she said sharply. "What's done is done, there is no sense arguing that. And I will not tolerate under any circumstances any name-calling,” she said with a pointed look at Kelpbeard. “Please continue, Grand Elder." "Now, as I said,” the Kyrii continued with a glare, “that night I was woken by one of the guards of the monster's prison. He was frantic; I could only make out one coherent word in his gibberish: 'escaped.' I deduced what he meant and rushed to the prison, only to find that the entire building which held the monster was demolished from underneath, where he was kept." "How was the building secured?" King Altador asked from his seat next to Fyora. "It was designed many years ago to look like a normal building. There was an incident decades back; a villager stumbled upon the monster in his previous prison, in a cave in the nearby mountains. The villager, sadly, did not survive the encounter, and we decided we needed a safer location, one which we could monitor more carefully. So we moved him to a building in the center of the city. No one suspected a thing." "How did you conceal him?" Hagan inquired. "A monster that size must be unhappy to be contained; there must have been some sign of him." "While we were designing the prison, we realized this. In order to muffle the sounds the monster made, we designed another building adjacent to it. One where loud sounds would emanate regularly to conceal the monster." "The Concert Hall," Fyora said, with a grim smile. "Rather ingenious, I must say." Kyruggi nodded. “But it did not matter. Someone discovered his prison anyways, and that is the most unsettling thing about this. For someone to free him, they would need to know exactly how we locked him up in the first place. “Years ago, when we first built the prison, the most we could do to secure the monster was using simple keys. So for added safety, we made two keys that had to be used simultaneously to unlock the monster. One key we kept in the building with us at all times, and the other was stored in the National Neopian Bank. “We were so sure that no one knew about the monster beyond legendary status, and even if someone were to find out, they would not know where the other key was hidden. And so we became falsely confident. So confident, in fact, that when advances came in security, we did not bother with them, figuring that the protection we had already put in place would be enough. But it seems we were wrong." The attendees were silent. After a moment, Amira asked, "But how did this person, whoever he is, find the key in the bank?" 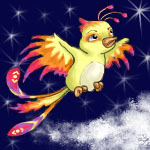 "I have arranged for someone to speak to us from the National Neopian," Fyora said, cutting off Kyruggi sharply. She motioned towards one of the Draik guards blocking the door, who nodded and left the room. After a moment of awkward silence, the Draik reentered, a tense yellow Tonu accompanying him. He had a rather ugly bruise on his scalp, which he massaged absent-mindedly. "Hello, Mr. Mullin," Fyora said with a faint smile. "Thank you for agreeing to speak with us." Maurice bowed. "My pleasure," he replied. "Now then, if you would please describe to the group what you experienced during the break-in." He bowed once more, exposing the bruise to everyone. Amira looked away with disgust. "I am a guard at the National Neopian," he began. "On that day... well, I'll admit it—I was tired. My daughter, she was sick the night before; I had to care for her. So I wasn't completely awake at the time, I'm afraid." "And this makes you qualified to tell us the story, how...?" Hagan asked, frowning. Maurice began to speak, but was interrupted by Fyora. "Most of the people there that day have suffered much more serious injuries than the unfortunate bruise on Mr. Mullin's head. He is the most qualified of the people that left the bank unscathed. Now please continue." "Right, well. It was nearly lunchtime when I must have nodded off to sleep. I was in that half-asleep, half-awake state, you know?" he asked, staring at the various leaders. Only Skarl nodded in reply. "So I was still vaguely aware of my surroundings. And I heard someone approach me from behind. Next thing I know, I’m on the floor, being shaken by a kid." "So the thief attacked you?" Kyruggi asked. Maurice nodded. "Must have been. Anyways, I was woken by this kid, a checkered Kougra. The lobby was devastated. Apparently there was an enormous explosion at one of the teller's booths. There were scorch marks everywhere, and people were strewn across the lobby like dolls. It was awful." Fyora spoke next. "Thank you, Mr. Mullin. Is that everything?" "I think so," he replied. "I'm sorry I couldn't have been more help." "On the contrary, it was quite useful. Once again, thank you," the Queen said, and the Tonu was ushered out of the conference. Fyora addressed the rest of the group now. "Does anyone have anything else to share?" A faerie stood from the Mystery Island delegation. "I do, your Highness." "Ah, yes, Jhuidah. Go ahead." She bowed. "Our problem is fairly straightforward," she began. "Techo Mountain, which has been dormant for more than a decade, is active once more. This has disrupted nearly every life on Mystery Island." "So what?" Amira asked. "Has it erupted?" "Then there's nothing to worry about," she replied. "I fail to see the concern here." "The concern is," a new voice said, quietly but rising quickly. A brown Lenny stood next to Jhuidah, her face streaked with black, almost as if she had shoved her head into a chimney. "The volcano has been studied extensively since it went dormant. It was concluded by the scientists researching it that the volcano would never erupt again. And here we are, on the verge of another explosion." "And who are you?" asked Amira with disdain, staring at the soot on the Lenny’s face. "Dr. Lula Fetther. Volcanologist. I've studied it for the past ten years." "So what are you implying, Dr. Fetther?" Fyora asked. "I'm saying we need to be paying attention to why it's active once more. I don't think this is through pure chance. Science may not be perfect, but it's pretty darn accurate. And my team was almost certain that the volcano wouldn’t cause problems anymore." "Why do you think it's suddenly active again?" "I don't know. But I think it is connected to the happenings in Tyrannia and at the bank. Think about it—the person behind all this must be pretty cunning. And to cause an explosion that large in the National Neopian? They must have a deep connection to magic. A connection that might be able to resurrect a volcano that scientists presumed dead." "Thank you, Doctor," Fyora said, and the Lenny and Jhuidah returned to their seats. "And now I have something from my own delegation to share. This happened nearly two weeks ago, and I'm afraid to say that it only came to my attention a few days ago. Elisse, would you mind sharing?" Elisse went on to recite yet again what had become entirely rote over the past two weeks, for she had been asked to share the story with countless concerned faeries. Each recitation reopened the heartache she felt over the whole situation. The fact that her friend had left her with no notice stung rather deeply. Fyora stood. "Well. I believe that's all of the information. Does anyone have any suggestions for further action? I think it's clear: these events are not random occurrences. We need to do something to find out more." The room, deadly silent, had an entirely defeated atmosphere. The delegations, from Altador to Mystery Island to Tyrannia, all stared at the Faerie Queen, completely befuddled, all with the same thought flitting through their heads.